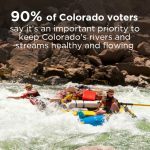 DENVER, Nov. 16, 2016 – On the one-year anniversary of Colorado’s first water plan being adopted, Colorado’s leading conservation organizations – American Rivers, Audubon, Conservation Colorado, Environmental Defense Fund, and Western Resource Advocates – point to a good first year for progress toward meeting the plan’s goals on water conservation, protecting and restoring healthy rivers, and ensuring wise state investments in Colorado’s water future. Conservation leaders consider this a good first lap, with many more laps to go, needing an increased pace to implement the full plan supporting our communities, businesses, rivers, and agriculture. Proposing money for municipal water conservation to help us reach our state goal of saving 400,000 acre-feet of water a year (roughly decreasing water use by 1% per year). Including $5 million in the proposed agency budget for critical stream management and watershed restoration plans that will protect and restore our rivers. Ensuring that state-funded projects have community support, prevent environmental degradation, and meet real water needs. The groups also pointed to more laps to go to reach the finish line, including the need for the 2017 legislature to approve the funding requested by the Board, administration and diverse stakeholders. The groups look forward to working with the administration to secure the budget and resources to help pick up the pace. 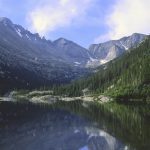 “The Colorado Water Plan was a reflection of the values Coloradans hold dear, including having healthy and flowing rivers, streams, and watersheds. 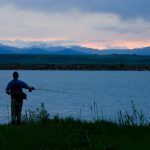 It’s critical our legislators now work diligently to turn those values into action and fully implement the plan to ensure that we are protecting our precious water resources,” said Theresa Conley, Advocacy Director, Conservation Colorado. “This is a good first lap for a big, bold water plan. It’s important to get our legs warmed up and under us, but we’ll have to step up our pace and make some big moves to win the race,” said EDF’s Brian Jackson, Associate Director of Stakeholder Projects. 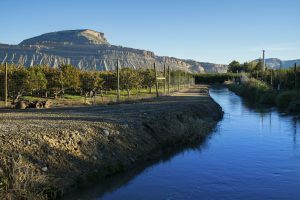 Significant water issues remain in Colorado, with the population projected to double by 2050 and climate change portending increased droughts across the western U.S. The Colorado Water Plan set a course to ensure we don’t dry up our rivers and towns and don’t leave agriculture in the dust. The very popular Colorado Water Plan got over 30,000 public comments during its creation and set goals to conserve 400,000 acre-feet of water and develop stream management plans to help keep 80% of Colorado’s priority rivers healthy, along with creating a criteria checklist to ensure potential water projects are cost effective, sustainable, supported by impacted communities, and address real needs.